Redel has managed global organizations, working especially in financial performance and governance issues, for over 30 years. Redel began her career as an investment banker, and made history in 1992 when she became the only woman ever elected Chairman of the Board of Commodity Exchange, Inc. (COMEX). Completed during her tenure was a merger with the New York Mercantile Exchange, creating the world’s largest physical commodity exchange. From 1994 – 2000 Redel served as Chief Information and Technology Officer for both the International and Derivatives divisions of Prudential Securities. In 2000, Redel joined the World Economic Forum as Managing Director and Board Member. At the Forum Redel was directly responsible for the 1000 corporate members and the development of the Strategic Partners. Redel is known for growing a major portion of the Forum’s income base while expanding both geographic and gender diversity. 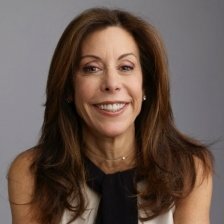 Redel was a founding member of the Executive Circle Professional Women of UJA, and is a member NY Angels and was former a member of both Women Corporate Directors and Golden Seeds – Angel Investors for Women Entrepreneurs.